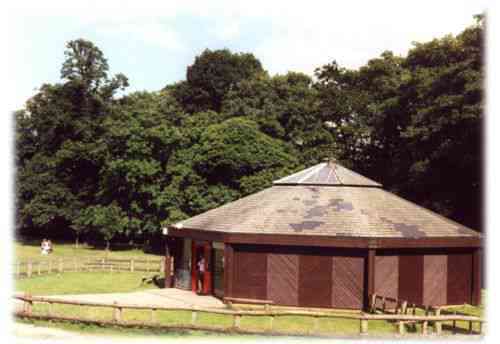 The Sutton Park Visitor Centre (pictured above) provides comprehensive information about many aspects of the park. 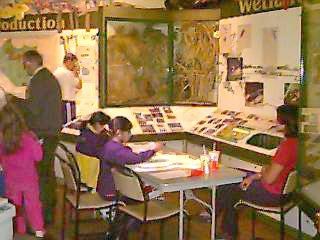 This includes information on wildlife, history, ecology, archaeology, park events and other club activities. The Visitor Centre also contains displays on wildlife and other environmental features of the park. The Centre is located near to the Town Gate Entrance and can be found at map reference M4. There are parking facilities in front of the building for disabled access. Sutton Park is a great educational resource. The heathlands which cover half the park are the second largest in the Midlands and are of particular interest as they are a disappearing habitat. The wetlands are another habitat in decline throughout Europe. Sutton Park retains some very important wetland areas, which harbour many plants not found elsewhere in the surrounding counties. The woodlands contain most of our native trees, with a good many species that have been introduced over hundreds of years. The park is also steeped in history from prehistoric man to Roman times. The Visitor Centre provides a resource facility which can be utilized for educational projects by schools, colleges and other interested groups. The Ranger Service provides an educational service based on the environment, conservation and management of many parks throughout the city. Bookings can be made at the Centre or by telephoning 0121 355 6370.